As well as tours Hazel provides both public and private cultural treasure hunts in London. They are an ideal way to give your brain and legs a work out while learning the history of London along the way. There’s no running or lycra involved, just lots of fabulous fun! Tina adores the City of London, and her lively presentation style provides enjoyable and informative walks. She particularly likes the history of early London – the Medieval and Tudor periods, with a special interest in the history of food and drink. The City also offers plenty of scope to follow up others areas of interest, such as modern architecture and the many gardens and open spaces in the City. 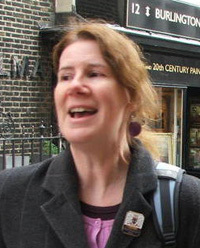 Tina is a City of London Guide and is an associate member of the Institute of Tourist Guiding. She is also qualified to guide in the Guildhall Art Gallery and on the Committee of Friends of City Gardens. Tina is also working as a volunteer guide with the National Trust at 2 Willow Road. Peter Berthoud is a fully qualified and insured Westminster Guide. Read the latest reviews of Pete’s walks at Trip Advisor. 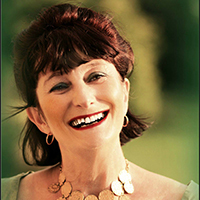 Diane Burstein is one of London’s best known Blue Badge tour guides with over twenty years’ experience of leading tours in the capital’s most vibrant and historically interesting districts. Aimed at both visitors and Londoners, Diane’s tours explore some of London’s lesser known districts. 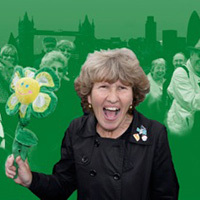 Visit www.secretlondonwalkingtours.co.uk and click on GROUP BOOKINGS for details of Diane’s wide repertoire of walking tours or email Diane directly to obtain details of the latest bookable walks and visits for individuals to join. Prices on application but please mention your London Historians membership when emailing. Brian Cookson is a Blue Badge Guide and author, an expert specifically on the Thames and its bridges, but much more besides. His books include Crossing the River and London’s Waterside Walks. 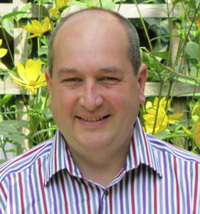 Colin Davey is a qualified City of Westminster Guide, City of London Guide and National Trust Guide. Colin has lived in London for over 30 years, and has worked in the West End, mid-town, and the City. Doing guided walks has been a natural extension from all the lecturing and public speaking he has done. He spent many years as a partner in a major law firm, and brings Legal London tours alive in a unique way. 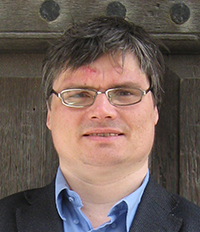 Colin offers a 25% discount for London Historians members, for example £6 for an £8 tour. From the City to Southwark : From the Monument to the New Globe. Colin offers LH members 25% discount on most walks in groups of minimum four people. Contact Colin by email or phone 07535 787 745 or 020 8948 1166. 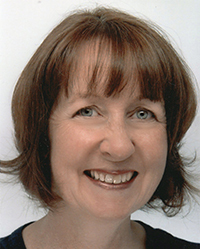 Jill is a qualified City of London Guide and an associate member of the Institute of Tourist Guiding. She also guides in St Paul’s Cathedral, the Guildhall Art Gallery and will soon be taking visitors around the church of All Hallows by the Tower. From Smithfield to the Tower, Jill is passionate about the City – its history, its churches, its river and its literary connections. Vania is a qualified London Blue Badge Guide, City of Westminster, City of London and St Paul’s Cathedral Guide. Vania was born in southern Brazil and has lived in London for the past 26 years. She especially enjoys showing London to international visitors but she is constantly striving to design walks that would be of interest to all. Her tours are informative, fun and can be adapted to suit families, friends, companies or organisations. Her portfolio of walks includes among other: Gentlemen London, Royal Westminster, Square Mile Highlights, Churchill in London, Posh Chelsea. She can tailor any tour to suit your requirements, whether you want to visit Westminster Abbey, Tower of London, art galleries, museums, parks, or the shops and entertainment venues of Covent Garden and Soho. 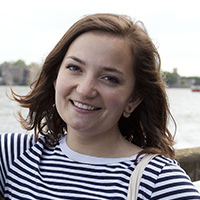 Karen is a qualified City of London guide with bags of enthusiasm for the City and a growing portfolio of walks. These include ‘Bart’s and Barber Surgeons’- a medical themed walk, ‘Beaks and Barristers’ looking at crime and punishment in the city and ‘Jewish Characters and Connections’. Karen can also provide bespoke walks on a variety of themes such as Fleet Street and the publishing industry, London’s River and the Supernatural City. 2 hour walks cost £8 (£6 for members of London Historians). 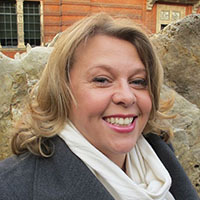 Marilyn is a qualified City of London Guide, a member of the City of London Guides Lecturers’ Association and an Associate of the Institute of Tourist Guiding. Brought up in North London, she started guiding at the Modernist National Trust property, 2 Willow Road on its opening day in 1996. 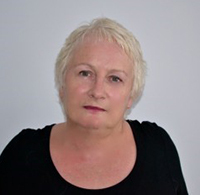 Formerly the Curator of Hampstead Museum, Burgh House, she has been creating and delivering walks in the Hampstead area for more than 15 years. Known for her friendly style of guiding, she loves discovering interesting nuggets of London history and is fascinated in how places develop and change as well as what lies beneath the ground. She has developed a number of walks focusing on artists and their connections with places and the stories of individual buildings. 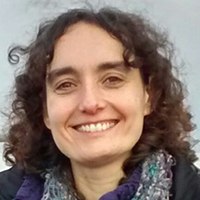 As well as guiding in the City and Hampstead area she also guides for the City Lit and for London Transport Museum’s Hidden London programme and can give bespoke tours at the Victoria and Albert Museum. Julia is a qualified City of London and City of Westminster Guide. A native Austrian, she made London her home more than 10 years ago and still finds it exciting to explore, question and dig just that little bit deeper. She offers her tours in English and German, ranging from a minimum of one hour to multi-day options. She will gladly tailor to your circumstance. Now, get in touch, then put on your comfy shoes and get exploring! Engaging, knowledgeable and well-researched Rachel Kolsky is a prize-winning London Blue Badge Tourist Guide. Covering all areas of London and specialising in the East End, women’s history, shopping, quirky off-beat areas and the Jewish community, memories of all aspects of London’s rich and varied social history come flooding back. Before embarking on her career as Guide and Lecturer Rachel, a qualified librarian, worked as an information professional in the financial services industry for over 25 years. 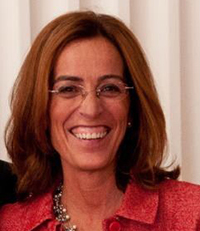 Rachel’s first book, a guide to, “Jewish London”, was published in March 2012 and she has been thrilled to be a guest lecturer on cruises since 2009. Join author and journalist Mark Mason on one of his trivia-packed walks which uncover London’s history by following a section of a Tube line … at street level. When a city is as littered with intriguing curiosities as this one, you need a framework to make sense of it all. What better framework than the Underground system? Join me as we take a stroll along a stretch of Tube line, learning about the secrets and oddities we pass along the way. Each walk takes approximately 90 minutes and costs £8. Unless you’re older than Churchill was when he became Prime Minister (65), or younger than the number of stations on the Victoria Line (16), in which case you’re welcome along for £6. I’m also happy to arrange specially-tailored walks for private individuals or groups – please drop me an email for details. More info on Mark’s web site: The Importance of Being Trivial. After 25 years with the BBC, ITV and Channel Four making award-winning programmes about history, science and anything he could make intriguing, David is putting his long experience in the entertainment industry at your service. He began tour guiding helping out as a tour guide for Orwell fans going round Central London and recently qualified as a blue badge guide.When he is not guiding, he is mayor of his London Borough (Islington) where he has been based for most of the past 30 years, and he is passionate about the history of Finsbury as well as London generally. He tries to ensure people have a laff on his walks (one of them, with London Walks is just a sing-song around London singing songs by the American satirist Tom Lehrer, with a trip to the pub in the middle). With London Walks, he also does a “Why London Got Rich” walk around the city of London, and a Dickens walk through Covent Garden with readings from Dickens. His career as a TV Producer and Director included popular programmes for prime time as well as science, arts, social science and technology output for the Open University. 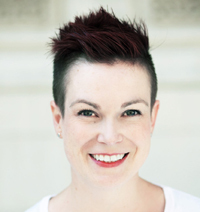 Joanna Moncrieff is a Londoner and qualified Westminster Guide. Her tours specialise in food, drink and retail. If you wish to learn about historic shops, the best pubs, restaurants in London, or where to find the most cost-effective cream teas, Look no further. Joanna offers London Historians members 25% discount for both public and private walks. Robin is a City of London Guide with a growing portfolio of walks. Robin’s walks include highlights tours like Treasures of the City, or thematic walks such as Sherlock Holmes in the City. Robin is also willing to create bespoke walks. The normal price for a walk is £8 but only £6 for London Historians! Contact Robin at www.strollintime.co.uk or r_rowles@hotmail.com. Footprints of London rates apply, LH members can claim discounted rate per code as advertised in Members’ newsletter. 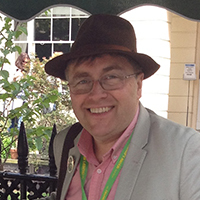 Laurence Scales is a guide specialising in offbeat historical walking tours focusing on intriguing and amusing tales of discovery, invention and intelligence. Laurence is a volunteer working at the Royal Institution for which he has devised walking tours, and also guides walks and tunnel tours for the London Canal Museum. Surprising life stories, eccentric personalities, startling achievements, and forgotten oddities particularly relating to science, technology and espionage are his passion. Welcoming residents and visitors who want to look beyond the main London attractions he reveals a wealth of lesser known historic sites and offers a double-take on some famous ones. 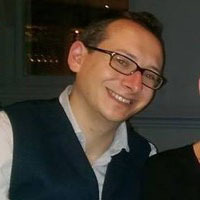 Rob is a member of Clerkenwell & Islington Guiding Association. 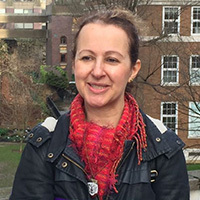 Sue Sinton Smith is a fully qualified Clerkenwell and Islington Guide who is particularly keen to show people the less well known parts of Islington and Newham where she lives. Friendly and well informed, Sue hopes you’ll return after your walk to explore some more. Sue is happy to adapt her walks for people with a sight and hearing impairment and can lead the walks in French by arrangement. 25% discount is offered to members of London Historians. Contact Sue for a private booking or to discuss a bespoke walk. Public walks bookable through Eventbrite. 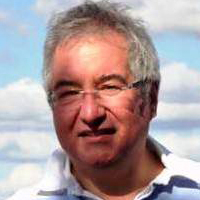 Paul Surma is a qualified City of London Guide and associate member of the Institute of Tourist Guiding. His tours are informative and engaging and friendly, bringing history to life in an open and accessible style which brings history to life to people from all walks of life. Paul especially enjoys the early history of London and the stories of the people who lived in those times, with a special interest in the secret, hidden spaces which show the rich depth and diversity of London’s past. Paul is also a ghost enthusiast and enjoys hosting walks through some of the capital’s most haunted neighbourhoods and alleys. Richard is a native Londoner, and passionate about bringing to life London’s rich and contrary history. 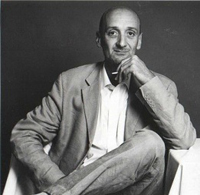 Richard is a City of Westminster Guide, a trained and experienced actor and worked for twenty plus years in the civil service in Whitehall. On his walks, he shows the characters and stories behind the buildings, and explores the great social developments and upheavals as well as the eccentric and funny events. Richard is one half of trailsofthecity.co.uk. Check out his walks on the Trails site, or get in touch for tailor-made walks. and her fun, engaging tours are full of juicy history and human stories. Walks take place most weekends and cover a variety of London areas. Rob Woodford, a ‘cockney cabbie’ invites you get under the skin of London and meet its notorious historical characters. A Lecturer on the Cab Guide Course (accredited by ‘City University’) training London cabbies to become Taxi Guides – his own taxi arrives in traditional black, teak interior, leather seats – enjoy a ‘Classic Tour in style! Fit to Rule is a tongue-in-cheek look at our rulers’ connections with Harley Street, whether they were fit to rule physically, mentally or morally. Email rob@blackcabheritagetours.co.uk or call 07853-128823 for bookings offering ‘London Historians’ members 25% discount. Footprints of London is a group of independent guides who have undertaken some professional course of study, and are recognised by and are members of one or more of the guiding associations that cover London. All Footprints guides have considerable experience of researching, creating and leading walks. By using a qualified guide that is a member of a guiding association you can be assured that you will enjoy your booked walk, and that the guide is covered by third party insurance. Many Footprints guides are also Members of London Historians.